Many in Nicaragua's opposition think OAS Sec Gen Luis Almagro is making a mistake by negotiating behind closed doors with President Daniel Ortega—a wily politico who has made a career out of hatching secretive pacts with opponents, then devouring them alive. Not all roads in Latin America lead to democracy. But Luis Almagro hopes there's more than one way to get there. As secretary general of the Organization of American States (OAS), Almagro is tasked with keeping peace in the hemisphere and herding errant member states back onto the path to democracy—all while respecting the principle of nonintervention. It's a tough job. And it's one that Almagro is tackling with very different strategies in two of the hemisphere's most troubled democracies: Venezuela and Nicaragua. In Venezuela, the country that has strayed the deepest into the weeds of dysfunctional dictatorship, Almagro is working with influential Latin American countries to invoke the Democratic Charter and pressure the socialist regime of Nicolás Maduro to hold free and fair elections. It's a process that's transparent, multilateral, and inclusive. In Nicaragua, on the other hand, Almagro is employing the opposite strategy. He's holding private, bilateral talks with the Sandinista government to discuss a secretive OAS report on the myriad problems plaguing Nicaragua's battered and bruised democracy. In both cases, the OAS is playing a newly invigorated leadership role in Latin America—one that might prove to have added weight as the United States struggles with its own democracy. Almagro's outspoken advocacy for human rights and rule of law have given the OAS a much louder voice in the region. But his cries are only resonating because the U.S. has developed democratic laryngitis and the leftwing chorus of nations once headed by Venezuela has lost its song. Almagro's leadership role is not appreciated by Venezuela's remaining ALBA allies; Bolivian President Evo Morales has gone as far as to blame the OAS secretary general for this week's violent protests in Venezuela—something he would have blamed on the U.S. a few years ago. Ortega, however, is playing it both ways. He's publicly criticizing the OAS for meddling in Venezuela, but privately putting out coffee for Almagro to sit and discuss the situation in Nicaragua. Some of the terms of those Nicaragua talks have been made known, specifically that the OAS will send observers to monitor the country's municipal elections in November. But other efforts to "perfect" Nicaragua's representative democracy and "judicially strengthen the application of constitutional norms" remain undefined and unknown to the public. Many in Nicaragua's opposition think Almagro is making a mistake by negotiating behind closed doors with President Daniel Ortega—a wily politico who has made a career out of hatching secretive pacts with opponents, then devouring them alive. "After [President Donald] Trump won, Ortega was desperate to buy himself more time with the Gringos. And Almagro is giving him that time, rather than selling it to him in exchange for any real concessions," says Liberal congressman Eliseo Núñez, one of 28 opposition lawmakers ousted from Nicaragua’s National Assembly during Ortega's 2016 power grab culminating in his controversial reelection in November. Political analyst Arturo Cruz, a former Sandinista ambassador to Washington, agrees that Ortega is trying to "shield himself" behind the OAS agreement after the "excesses" of last year's Pyrrhic victory. But Cruz thinks the OAS talks are also giving Nicaragua's fractured and feckless opposition a golden opportunity to reboot and get back in the game before the November municipal elections. "The potential for a unified opposition candidate to capture votes is enormous right now," Cruz says. While the world was distracted by Trump's rise in the U.S., Ortega orchestrated his own re-election bid last November in which he banned the opposition from running, appointed his wife as vice president, and gave himself a generous 73% win after hardly any Nicaraguans voted. He's been doing damage control ever since to make nice with Washington before the Trump administration establishes its policy for Latin America and turns the screws on Nicaragua. But Ortega's PR efforts in Washington, which included hiring the Gephardt Group to a lucrative lobbying contract, weren't good enough to sway U.S. congressional hawks who want to "hold the Ortega regime accountable for fraudulent elections, corruption, and human rights abuses." The so-called NICA Act, a bill re-introduced in the U.S. House last week, would condition loans to Nicaragua from international financial institutions, just as Venezuelan funds run dry and Nicaragua's economy slows. Without International Monetary Fund loans and his $500 million annual allowance from Venezuelan, Ortega could soon be facing tougher times. That's why Ortega needs the talks with the OAS to work. Almagro needs them to work, too. The last thing the OAS wants is for Nicaragua to become the next Venezuela, which is in far worse shape. But to work with Ortega, Almagro needs the U.S. to give him some room to operate, which is why he's pushing back on the NICA Act. "Venezuela has become a full-time job for Almagro. The OAS can't deal with more than one crisis at a time," says Eric Farnsworth, of the Washington, D.C.-based Council of the Americas. "It's called sequencing—you can't deal with everything at once." Ultimately, Venezuela's implosion could have devastating ripple effects on Nicaragua. But for the moment, Venezuela's chaos is giving Ortega the cover and time he needs to negotiate a way out. Ortega remembers what happened to his government when the Soviet Union collapsed twenty years ago, and doesn't want history to repeat itself when Venezuela finally goes down for the count. 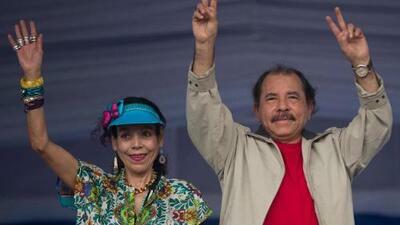 Ortega has become a much more savvy politician since the Cold War. And if the past two decades are any indication of the Sandinista strongman's dealmaking skills, Almagro needs to be very careful that whatever agreement he signs with Ortega doesn't come back to bite him in the rear. "While Almagro is to be commended for adapting his tactics to very different circumstances, the risk is that he will be seen as inconsistent and lacking standards and criteria for determining what course of action to take," says Michael Shifter, president of the Inter-American Dialogue. "Almagro’s challenge is to avoid a one-size-fits-all approach, yet at the same strive for some measure of consistency that is critical for the OAS’s credibility."